Lutungan Island is the closest island from the Tolitoli Town Center and takes about 10 to 15 minutes when travelled by boat. The island acts as a protector of the city from huge waves and storms. You can find the tomb of one of the kings who reigned from 1859 to 1867 named Tolitoli Bantilan Syafiudin. 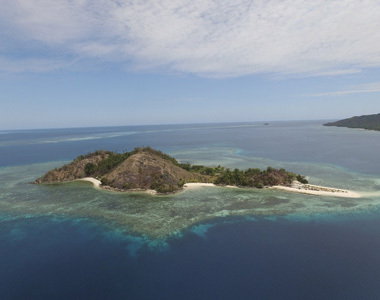 The island presents a wonderful marine biota inhabited by numerous varieties of fish and coral. The Kabetan Island is located towards the western part of Tolitoli and can be reached only via boat or ship. The travel time is around 1-2 hours. The myriad species of fish inhabiting the underwater territory includes Snapper, Grouper, Rays and Napoleon fish. The beautiful marine biota has made this place an important spot for fishing, snorkeling and diving. Tenggelanga village is located to the southern city of Tolitoli. This village is a mountainous area filled with clove plantations spread up to the mountain top. Tenggelanga also has the beauty of under water and around beach area this area also has various types of marine life and variety rose coral. 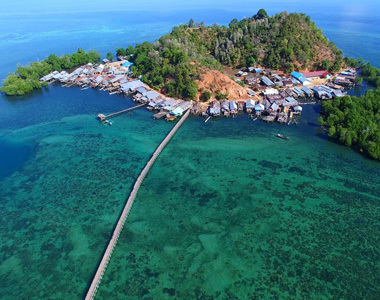 Pandan island or local familliar with sambujan village, located on the southern city of Tolitoli. This place can be reached by boat with estimate time 30-40 minutes or access by car or motorbike with estimate time 2-3 hours. Distance to the coast with the island is approximately 300 meters with bridge connects the coastal and island with a length of 300 meters and a width of 2 meters. 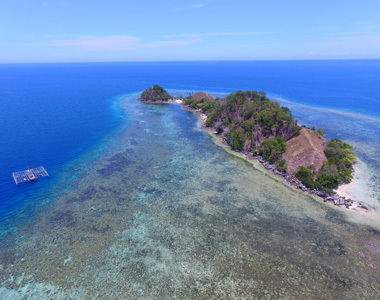 About 300 meters southeast side of the island there are two points of coral reef conservation is still maintained for the concern of the villagers sambujan. 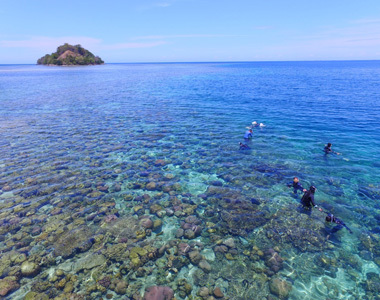 At these locations to live different types of coral and marine life such as nudi branch, anemone fish and macro objects, this spot very interesting for underwater photograph. 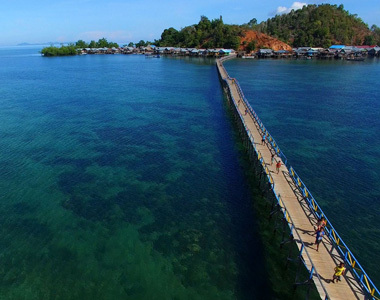 Tende Sabang island located north of downtown Tolitoli and takes 15 to 30 minutes to travel from the town to the island by two or four wheelers. The island offers an excellent diving spot for tourists. It is also a highly recommended spot for macro photographers. The coral reef can be found 50 to 100 meters offshore. With visibility of 5 to 10 meters, it has become favorite place for snorkelers. The marine biota consists of both small and large varieties of fish including Eagle Ray, Baracuda, Crocodile fish, Lion fish, Anemone fish and various types of Nudibranchs and Mantis. In addition, there are many types of colorful clams that are beautiful with sizes ranging from 10 cm to 40 cm, found around the island of Sabang tende tridacna. Kapas Island is located in the northern city of Tolitoli. Can be reached by using two-wheeled vehicles and four wheels up in the village of Kapas with a distance of about 30-40 minutes and then continued by boat to the island Kapas approximately 10-15 minutes. Access to the island from the coastal village of Kapas is by using a fishing boat with a capacity of 3-5 people are available every day. 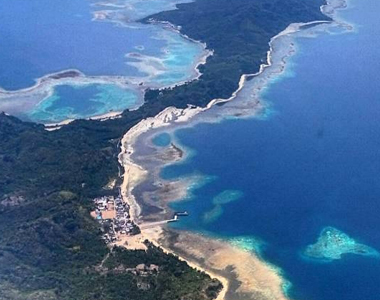 Island Kapas has a beauty under the sea still holds many mysteries. Various types of fish such as anemone fish, mantis, butterfly fish, puffer fish, sting rays and green turtle are even Murray. Coral species also vary as massive coral, table coral, soft coral and some types of coral sponge. Not only underwater scenery, this island has an hilltop to climb so the peak of the hill with views of the sea and the other islands can be enjoyed from the top of the hill this island, the location is also very suitable to be a place of camping. Salando island located just north of the town of Tolitoli. This island is nearby with kapas island. To reach this island can use boat with estimate time 1-2 hours. One of the features of this island is a fine white sand and atoll sand with an area of approximately 2 km during low tide. This island is famous for the diversity of marine life. Lion fish are easy to find various types around this island. Other marine life such as Murray, nudi branch, stingray, napoleon easily to found in this island. 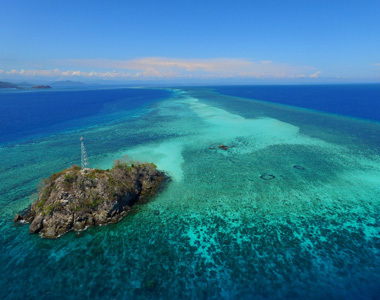 Around Island Salando has of underwater natural riches therefore there is post supervision tower by transportation department and the fisheries on the island to preserved marine life and coral reef. 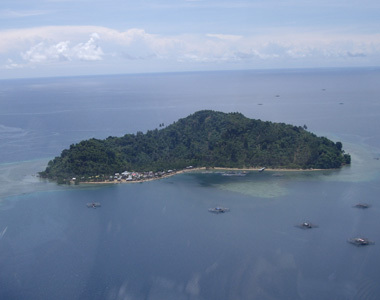 Simatang island located in the southern end of town Tolitoli. This island has beatiful view when sunrise. 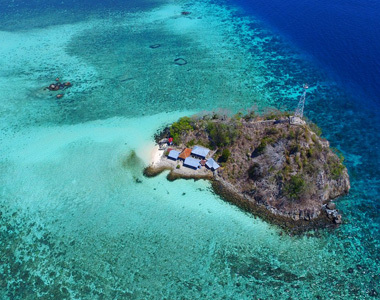 Simatang island famous for various types of marine life from macro to the largest fish and variety coral. Lingayan island located in the southern city of Tolitoli. 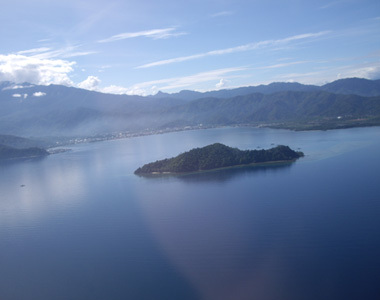 The island can be reached with car or motorbike with estimate time about 3-4 hours to reach Ogotua village and continued by boat with estimate time around 20 minutes to arrived in this island. 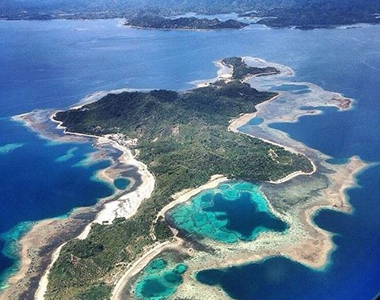 Lingayan Island is one of the outer islands of Indonesia bordering the State of Malaysia. 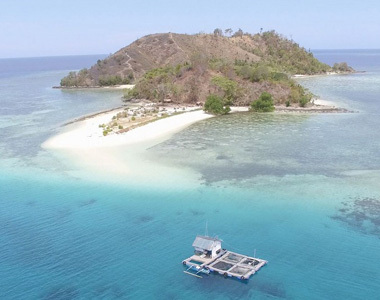 Around this island is the habitat of various kinds of macro to large fish and also Coral reefs around the island Lingayan still under preserved.